Finally , the smartphone manufacturer Oppo converts the confirmation of the launching of its flagship smartphone Oppo Find X into reality by landing the device in Indian market at the cost of Rs. 59,990 at its fixed schedule as stated earlier. 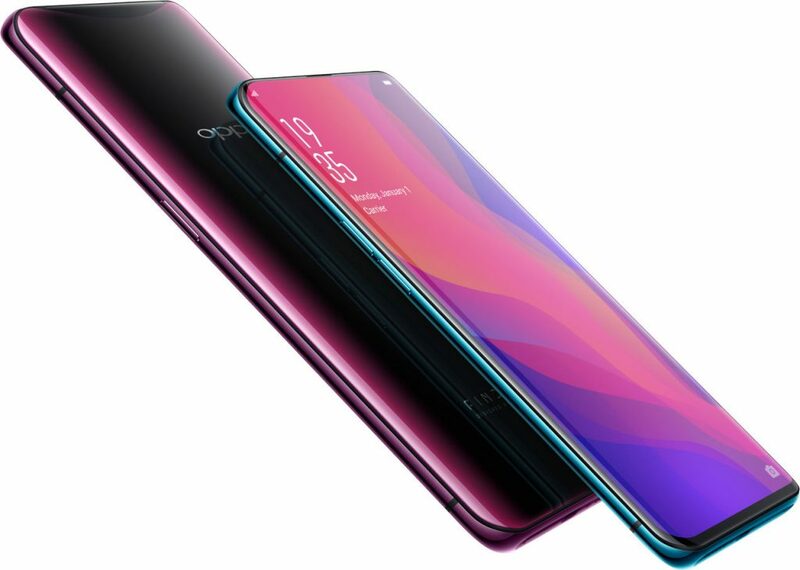 The flagship smartphone Oppo Find X has 3D glass body and sports 6.42-inch (2340 x 1080 pixels) Full HD+ AMOLED 19:5:9 aspect ratio Panoramic Arc display with Corning Gorilla Glass 5 protection . It has 8GB RAM, internal storage capacity of 256GB . It has dual-SIM functionality, dimension of 156.7 × 74.3 × 9.4mm; and weighs 186g . It is armed with 2.5GHz Octa-Core Qualcomm Snapdragon 845 10nm processor with Adreno 630 GPU and runs on Android 8.1 (Oreo) with ColorOS 5.1. The camera section of the smartphone Oppo Find X includes a motorized sliding dual rear cameras of 16MP rear with LED flash, f/2.0 aperture, OIS, secondary 20MP rear camera with f/2.2 aperture and a front-facing camera of 25MP , f/2.0 aperture. Oppo Find X does not come with a fingerprint scanner. Rather it features facial recognition for unlocking the phone. For face unlock, the pop-up camera comes out, recognise the user, unlock the phone, then slide back in. Connectivity wise, it features 4G VoLTE, WiFi 802.11ac (2.4GHz/5GHz), Bluetooth 5 LE, GPS, USB Type-C and supports USB Type-C audio, DSP module, NXP noise reduction . It is backed up by 3,730mAh battery with VOOC flash charge fast charging .The users can get the device OPPO Find X in Bordeaux Red and Glacier Blue colors.